The unsurpassably cool thing about working in the world of advertising is the glamour, the perks, and the respect and envy you will garner from your peers. Right? All the Mad Men marathons and the televised romanticising of the ad world have prepared you for this. Until you actually start work at an agency. 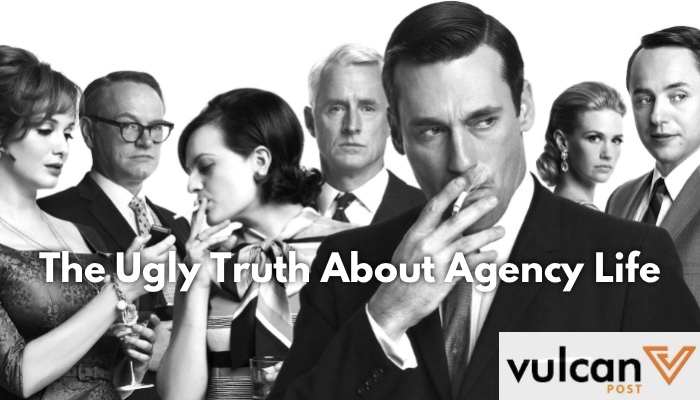 It’s an almost unspeakable topic, the “dark side” of agency life. Among friends and social circles, it gets thrown around a lot as a segue to “How’s work?” or as a light conversation topic, like a glorified dead horse. Ask any business owner or CEO their opinion of ad agencies, and you’re likely to get an earful of horror stories. Even the trusty and reliable Internet throws back to me ‘How To Survive An Agency’ and ’15 Things I’ve Learned From Working In An Agency’, a much more euphemised way of stating the obvious: agency life is hell. Collated from various sources — from the intern to the graphic designer — in this much-heralded industry, the ugly side of local agency life surfaces from the accounts of these people. “On my first day at work, I stayed in till 5am,” Sheena*, a design intern related. Having secured a job, albeit as an intern, in an award-winning agency, Sheena went to work on the first day happy and composed. At 3am, she was still at her desk ‘waiting for a reply from the boss’, who was overseas at the time. If you haven’t heard, the working hours at an agency are long and unpredictable. There will be good days, and there will be deadlines. Best not to make any short-term after work plans, because you will most likely disappoint. Bosses come in all shapes and sizes: some are mean, some are passive-aggressive, sometimes they are nice, and sometimes they just want to give you hell. Democracy is dead in some agencies, while ego thrives. “I was made to work on a tedious project proposal, only to get it returned to me because it was ‘not quite I was looking for’. After many, many drafts, I realised that like a math question, there was only one correct answer — the boss’ opinion,” Liane*, an account manager related. Eventually, she just worked around what the boss wanted — not the client — and lost out on a few important accounts along the way. She soon felt like she was not developing and progressing in her job, and finally quit to switch to another agency. Probably the murkiest and most terrifying aspect of the ad life. Office politics is ugly, and it exists. And if you’re going to be working in an office-full of creatives and storytellers, the politics is only going to be a little more dramatic. “I got an account I had my eye on, and which I pitched and passed on to another colleague simply because I was not close to the boss,” Darren*, a project manager said. 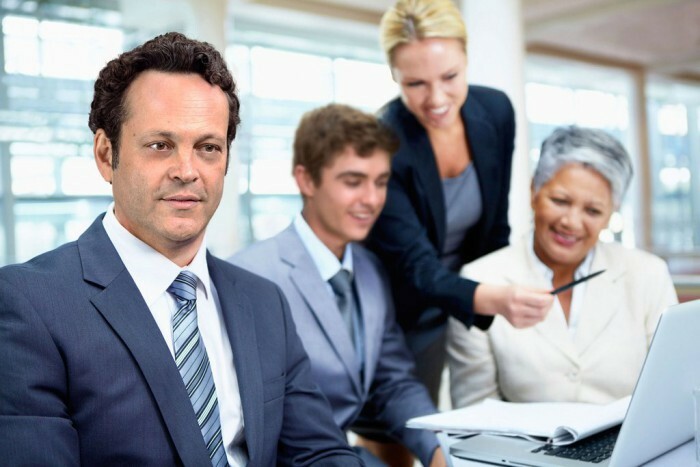 “Sometimes people get petty, and in that fit of passion, the decisions they make are detrimental to office relations. Now the office is divided into factions.” Be careful of how you carry yourself in the office. There are always going to be some ignorant twats in the office. “My boss has openly said to me mid-discussion that he can never take me seriously because ‘women get so emotional’ — we weren’t even fighting in that meeting…until he said that,” Janice* said. Casual sexism and racism in the workplace happens more often than not, as we’ve seen this year in the case of Heidi Heng’s bizarre WhatsApp job interview exchange. When it becomes intolerable, take a stand. Horror stories aside, the ad agency is a great place to learn. And sometimes you may be able to find an agency that suits you, where work doesn’t even feel like work, and you really don’t mind clocking in the extra hours. It’s rare, we know, but we also know that there is some place for everyone. May your agency be full of nice and hardworking people you get along with, and may you find your place in the world of advertising. What is your agency horror story? Whether you’re a client, or in the industry — spill in the comments below.